As robust as the screen capture features in OS X are, there’s always room for improvement. Team Apollo’s Powershot 1.5 fills this role nicely, offering a lightweight, efficient utility that allows you to configure keystrokes for taking screenshots, target the areas of the screen that will be used in the screenshot, lets you specify what will be done with the image file, and allows quick line drawings, shapes and annotations to be added to the finished product. Memorize the program’s Control-Option-X keystroke—or configure your own—and you’re off to the races. From here, Powershot has you specify the area you’re using for your screenshot, then proceeds to offer a set of tools to draw rectangles, circles, lines, arrows, add text, choose colors for the elements you’re adding, delete steps you’ve taken, export the images to specific folders, and approve or deny the changes you’ve made. 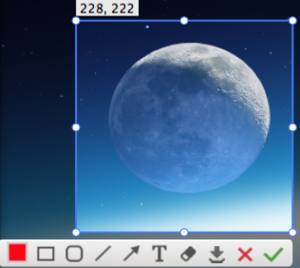 Additional touches like magnification and the ability to save the screenshot to OS X’s copy cache come in handy and it’s nice to have a choice as to what you’re going to do with the image as opposed to saved screenshots cluttering up the desktop. 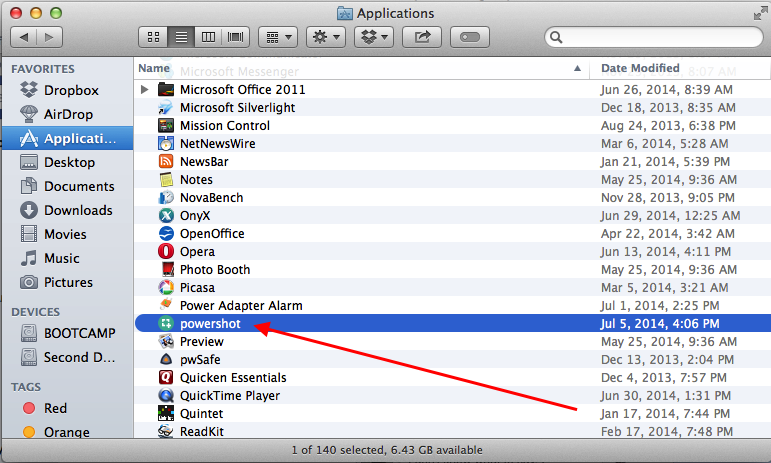 If there are any points of contention with Powershot, they’re relatively small and fixable. A limited color palette offers access to only six colors and doesn’t offer access to OS X’s color wheel. Team Apollo’s support for its product seems a bit lackluster, as the company’s webite mentions its other products, but not Powershot. 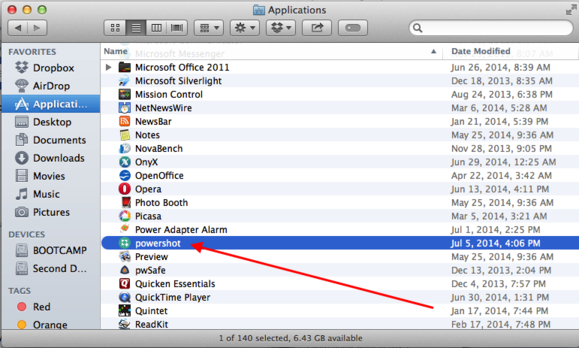 Powershot adds some great features to OS X’s standard screenshot capabilities and is a steal at $1 in the Mac App Store.